← Still warm enough to get wild! 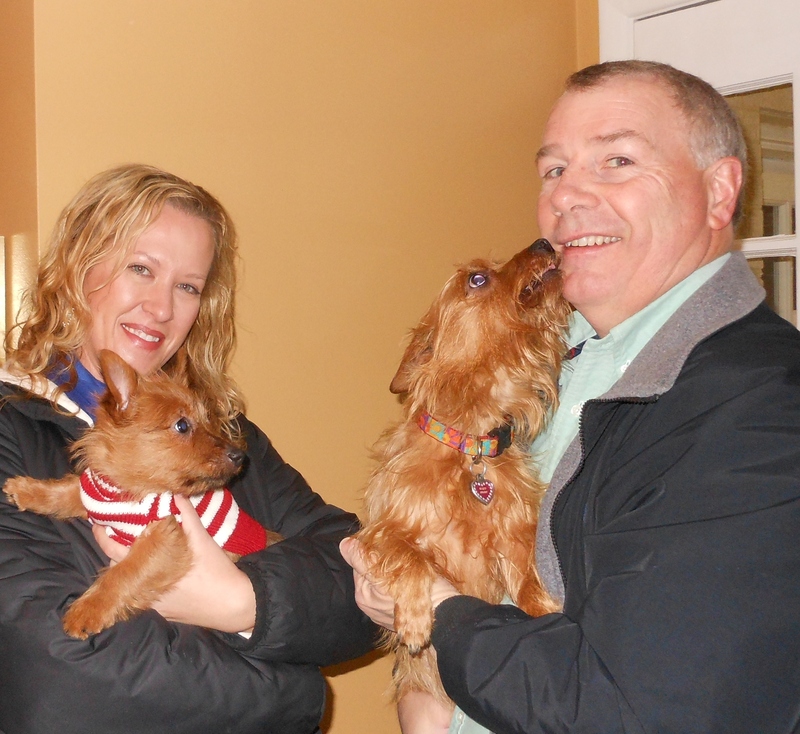 Spunky went home today to her new family! David and Julie Mullinax drove all the way from KC with their Riley (Fendi x Voitto 2010) so that Spunky could have her first Christmas with them as their new family member. Is that love or what? So happy she has such a great family.